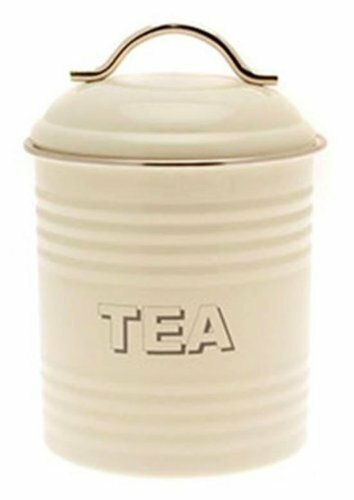 The new Home Sweet Home range of retro metal kitchenware by Joe Davies includes this lovely Tea canister. It is cream enamel with chrome trim and a good tight seal lid. The word TEA is outlined in Black print. Measures 16cm high by 10cm diameter.